Drilling tools used to build pipe to siphon off water seized on way to Hevron. 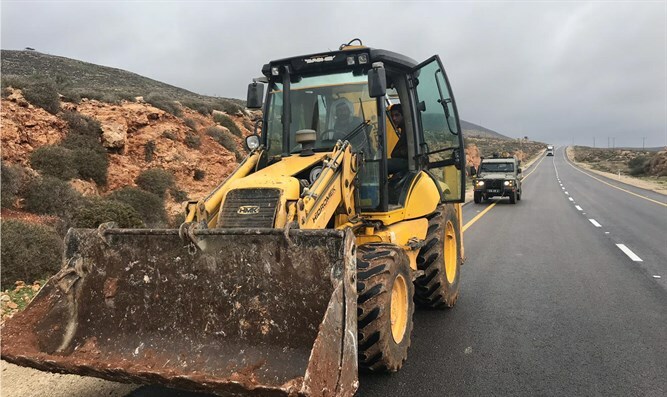 Enforcement activities were carried out as part of the Civil Administration's efforts to eliminate thefts and increase the water supply in Judea and Samaria. This enforcement is part of a policy led by the Coordinator of Government Activities in the Territories, Major General Yoav Mordechai, under which enforcement is carried out under the supervision of the Civil Administration's supervision unit.